The main purpose of a Septic Tank is to hold both solid and liquid waste from your home. At the same time, the solids will separate from the liquid layers forming a scum on the lining of the tank. For the purpose of cleaning your tank thoroughly, Septic Tank Agitation becomes a crucial element to your Septic Service. As an established Central Alberta company, Go Services Inc. strives to find innovative methods for providing quality service. For that reason, we have implemented a new tool for Septic Tank Agitation as part of our regular Septic Service. This allows us to achieve a thorough cleaning, saving our clients both time and money, in the long run. Designed for Deep Tanks. – the shaft length of our Agitation Tool is 80″. This allows us to reach the bottom of any Residential Tank. Foldable Blades. – designed to fit into small crevices, our unit has foldable blades that expand and contract into openings as small as 4″. This means we can fit into a host of different tank sizes and styles. Powerful Motor. – by the time you think to have your Septic Service done, it may have been a few years since your last cleaning. 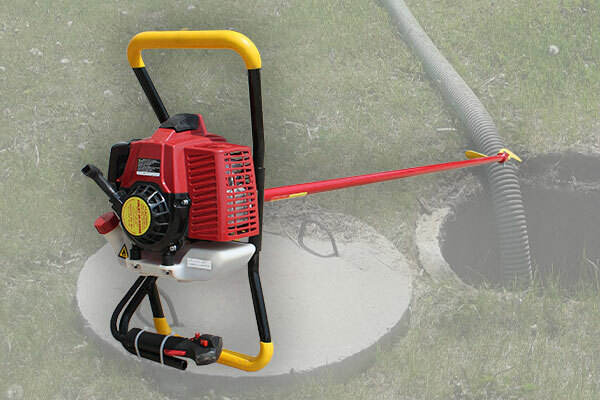 In light of this, our Septic Tank Agitation tool has a 2.5 hp motor, capable of high speeds with a durable transmission. By and large capable of cleaning out even the most stubborn tank! Field Tested. Go Services Approved! The high speed rotation of our Septic Agitation tool allows us to mix solids for a thorough tank cleaning. Further, it has been tested and proven to mix Residential Septic Tanks up to 2500 gallons! The use of engineered blades and a high-power shaft is guaranteed to lift up even the most crusted deposits. Give Go Services Inc. a call today about your Septic Service and Septic Containment needs! Coupled with great service is our commitment to Health and Safety. We are here to get the job done right, the first time.